Any day is a good day to have a well-deserved break from a hectic daily routine. Whether you’re looking to pamper yourself with a soothing facial treatment or ease muscle pain with a Swedish massage in Palm Springs, CA, our spa service is the answer to your pleas. Body Sense Spa will provide you with a relaxing experience that will make you look and feel better on the inside, and on the outside. Come try a soothing hot stone massage for a unique blissful experience. When you ask yourself--where can I find a fantastic massage service near me in Palm Springs, CA? Now your search is over. Get the ultimate relaxing experience at Body Sense Spa. To make an appointment, call (760) 320-8413. Body Sense Spa has been in business for over 30 years, and we are one of the oldest spas in Palm Springs, California. We cater to the needs of our clients, and we want them to feel better when they leave than they did when they arrived. Body Sense Spa offers massage therapy, facial treatments, body wraps, body scrubs, and more. All Body Sense Spa associates are professional, licensed, and insured. They attend workshops and professional conventions regularly. All of them are accustomed to working with the public and will do their best to make your treatments beneficial and enjoyable. Whether you’re rewarding yourself for tackling a stressful project at work or looking for the right way to share a soothing experience for your anniversary, we can help you do it in comfort. As your local experts in the art of the Swedish massage in Palm Springs, CA, we have the skills to deliver a thoroughly enjoyable experience from your first call to the final moment of your session. Show your appreciation--for a partner, a friend, or for yourself--with a service that defines what a massage should be. We’ll smooth away the stress you’re under and deliver an experience that’s all about one thing: making you feel your best. For the best in massage therapy, turn to our team every time. Taken as part of a holistic wellness plan, we give you a reliable resource to combat the negative effects of stress and tension on your health. See our results for yourself with a powerful deep tissue massage. We’re here to help you live your best life with treatments you can always trust to improve your day. 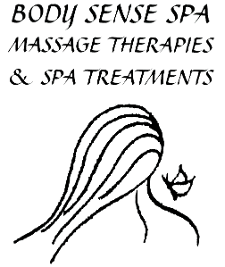 Contact us for more information about our treatments, or to schedule an appointment. We proudly serve Palm Springs, CA, and the surrounding areas. Monday - Wednesday — Friday - Saturday: 10:00 a.m. - 6:00 p.m.